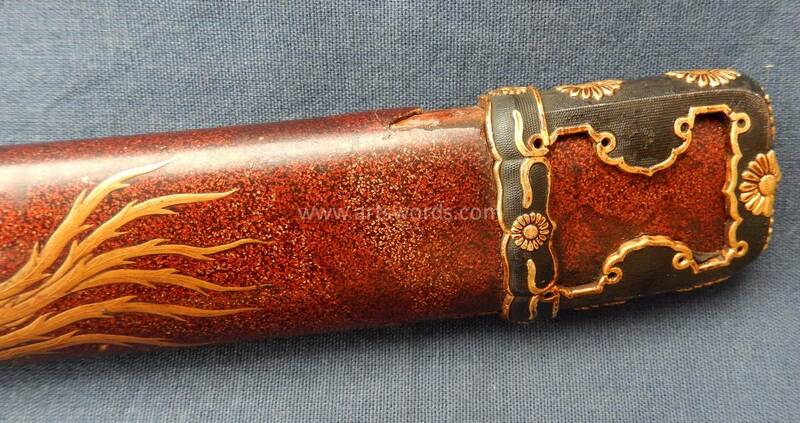 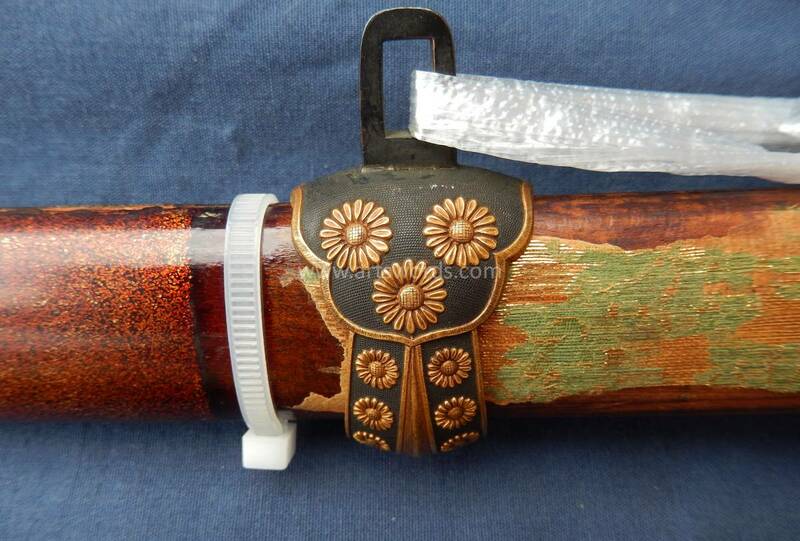 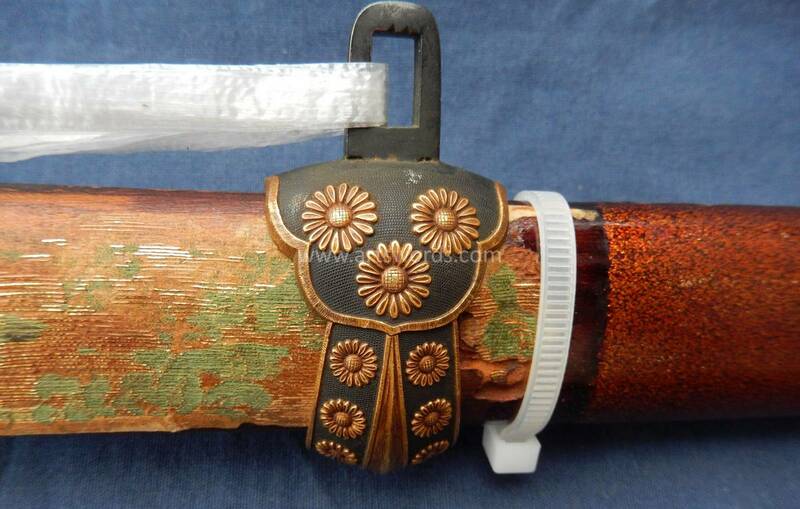 A long Ko Mihara (late Kamakura period) Dai-to with its original early Edo period high quality tachi Koshirae. 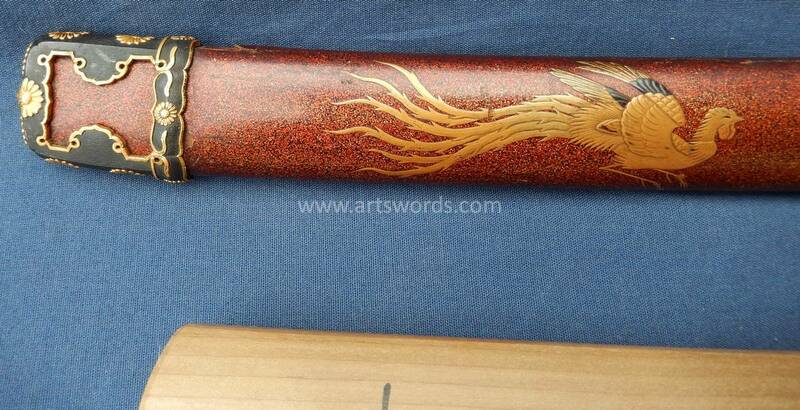 The sword has a 28" long cutting edge. 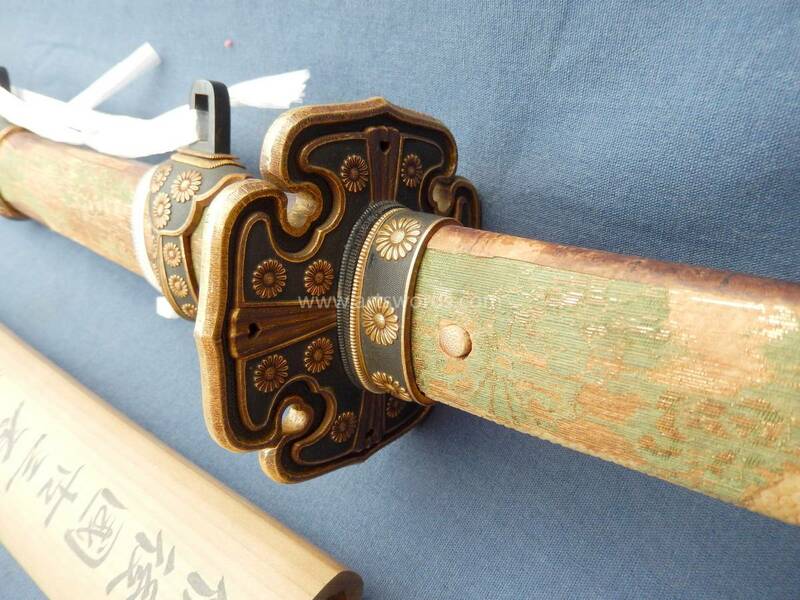 The hamon is a ko nei bases suguha with nioi. 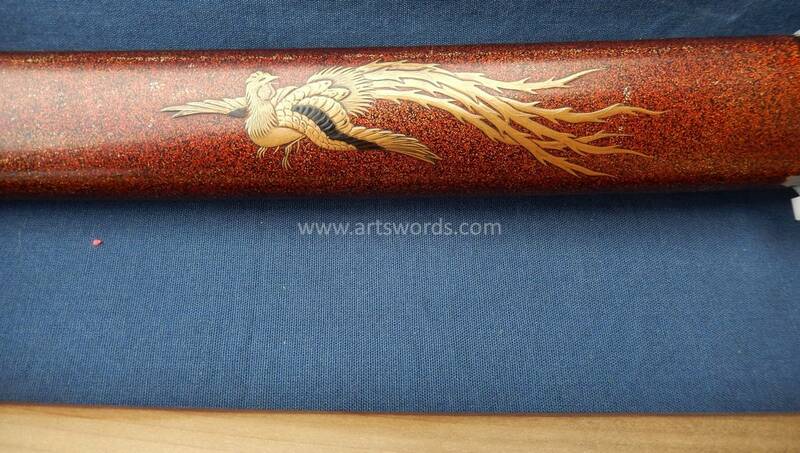 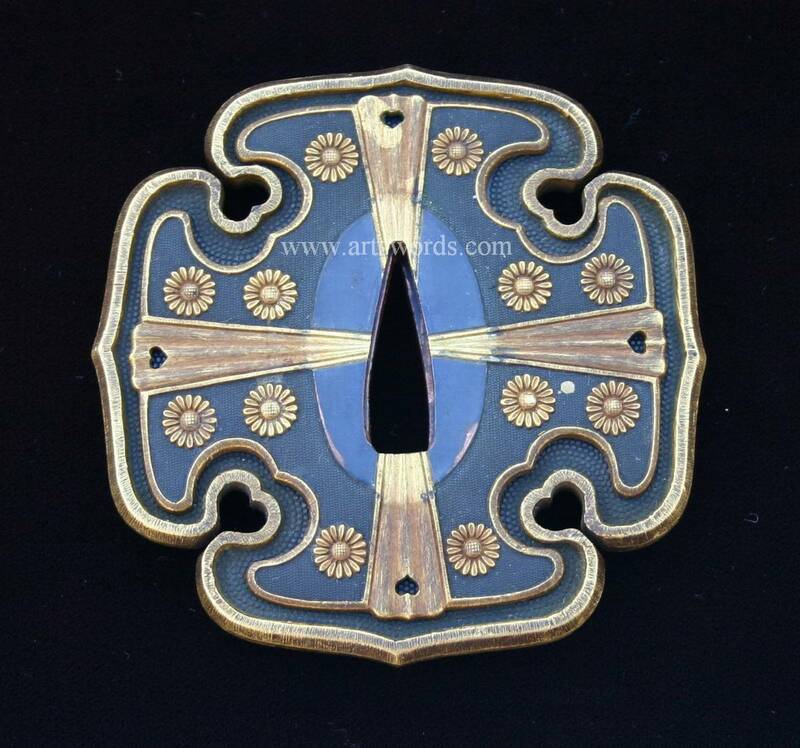 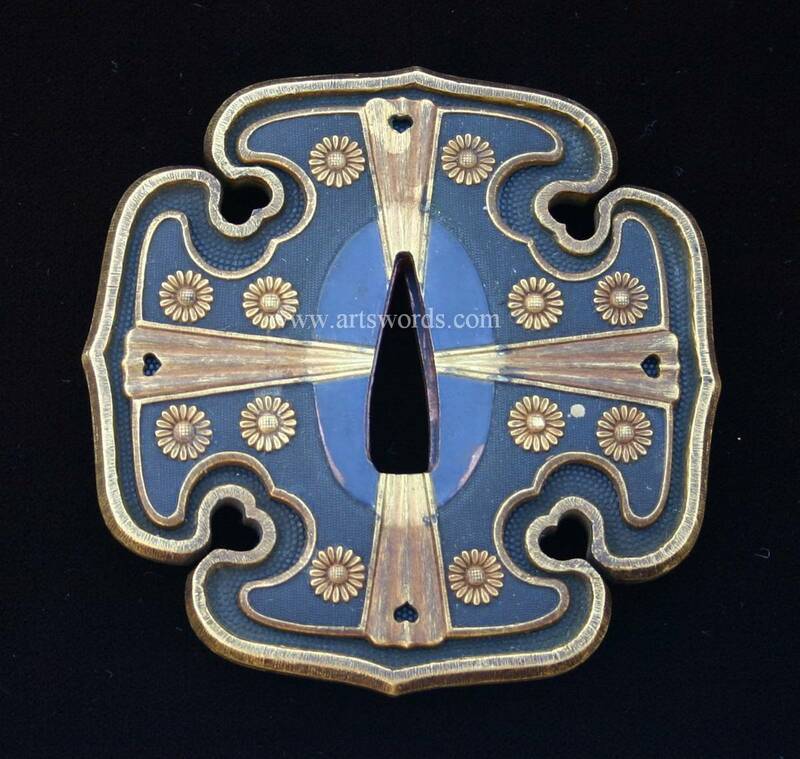 The hada is itame mixed with mokume. 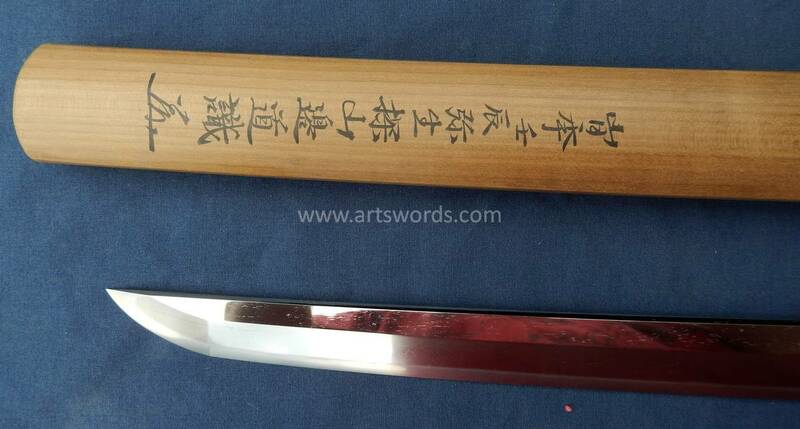 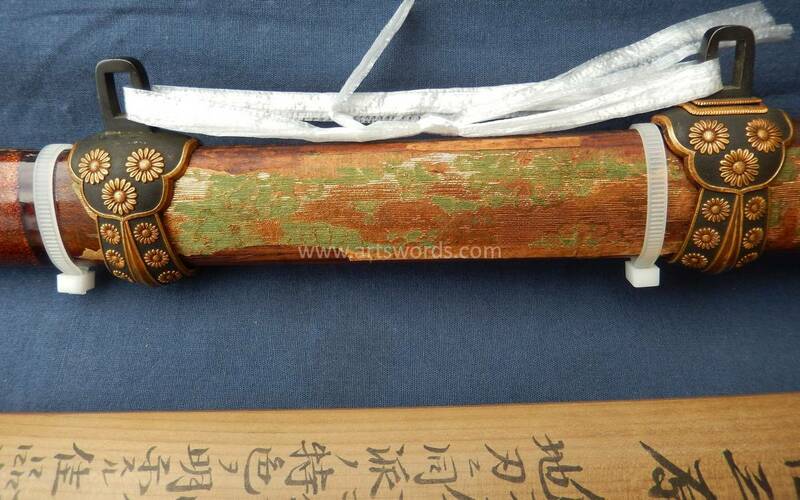 The shirasaya has sayagaki by Retired NBTHK director Mr. Tanobe. 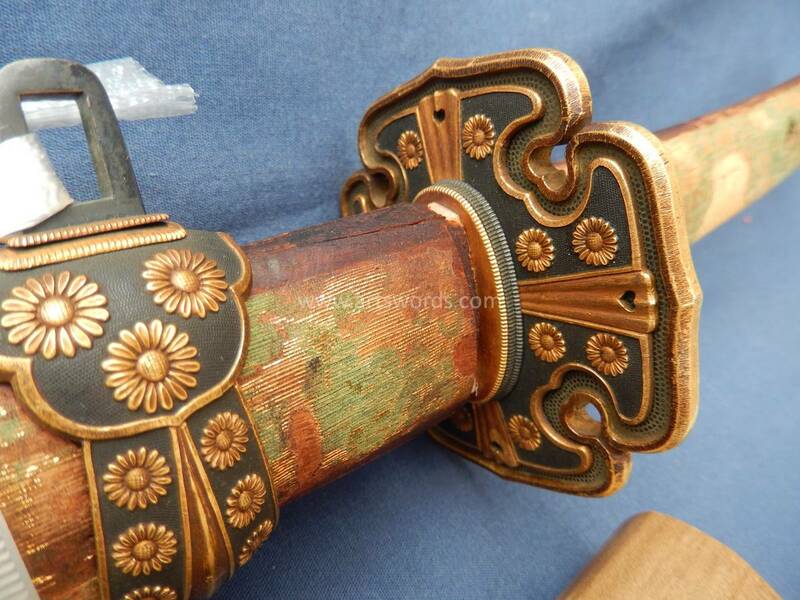 I was also told by Mr. Tanobe that this sword was a good candidate for Juyo. 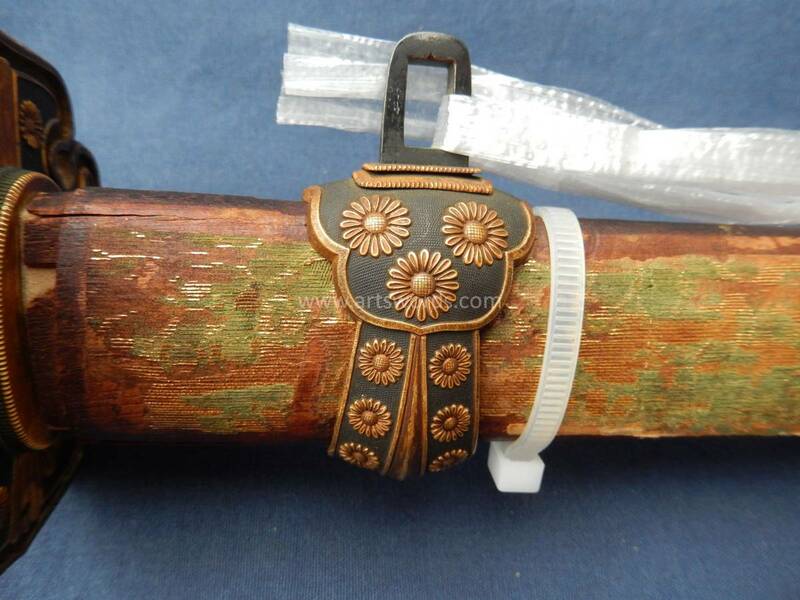 The tachi koshirae are very high quality shakudo with nanako with gold 16 pedal chrysanthemums which is the imperial crest. 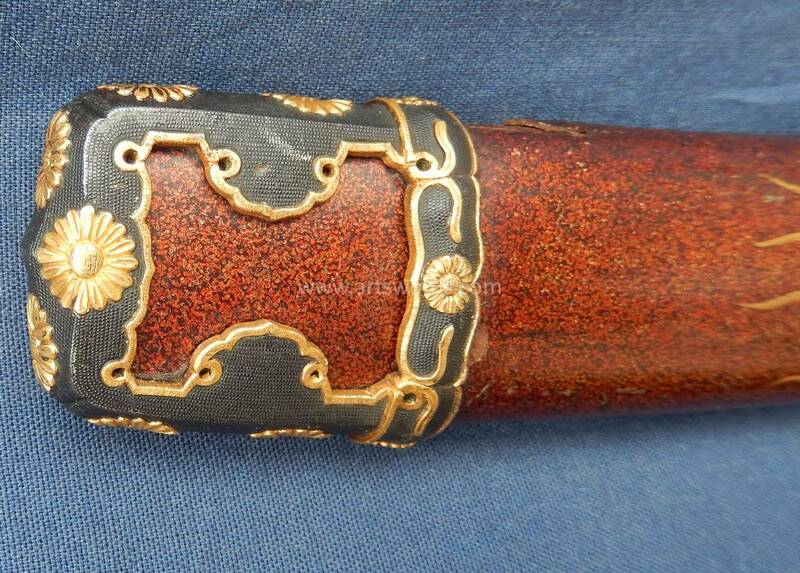 The mounts are missing the menuki and a few pieces of the hangers and there is some damage to the lacquer on the saya but I can arrange for the parts to be made and the lacquer to be repaired by top quality craftsman. 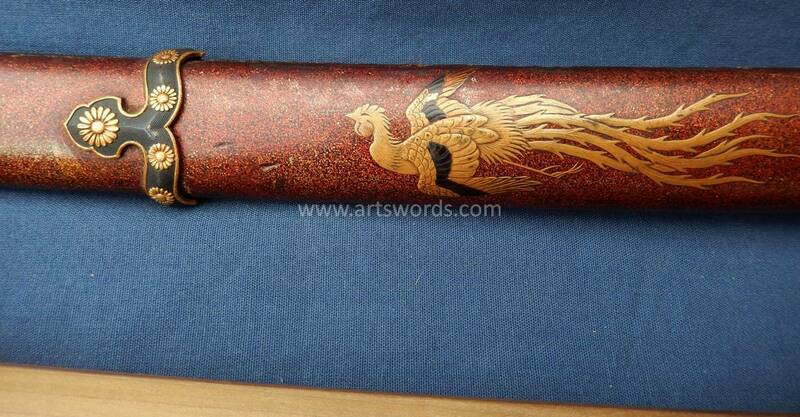 I can then arrange for papering of the koshirea which I think would do quite well. 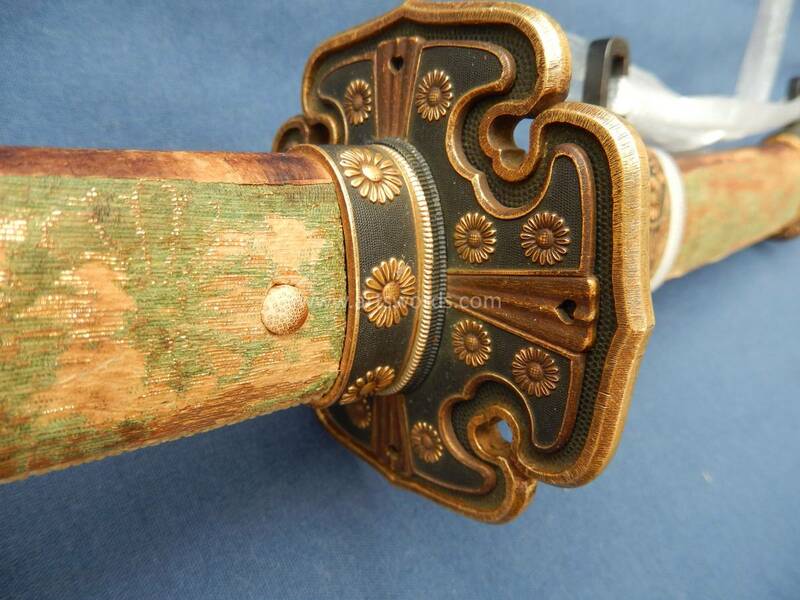 A fantastic sword with its original Koshirae.